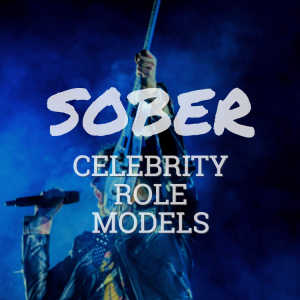 When you’re struggling with a drug and alcohol addiction, having sober role models to look up to can help you stay motivated on the path to recovery. If you’re in need of celebrity inspiration, these 7 recovering substance abusers prove that great things are possible when you’re willing to commit yourself to getting the help you need. Robert Downey Jr.’s story is one of the most incredible Hollywood comebacks. After being one of the most popular actors in the late 1980s and 1990s, he became virtually unemployable due to his struggles with drugs and alcohol. He was arrested multiple times, served a year in California Substance Abuse Treatment Facility and State Prison, and lost most of his fortune. Downey has been sober since 2003, relying on a combination of 12-step programs, yoga, meditation, and therapy to stay clean. His role as Iron Man in the Marvel Cinematic Universe officially landed him back on top as an A-list Hollywood celeb. Oprah Winfrey was raised in poverty by a single teenage mother, but rose above her early struggles to build a massive media empire and become a notable activist/philanthropist. Her influence is so substantial that she’s often referred to as one of the world’s most powerful women. Winfrey’s struggle with addiction occurred in her 20s, when a man she was dating introduced her to crack cocaine. She kept her substance abuse disorder a secret until spontaneously offering up the information in a 1995 show featuring mothers battling drug addiction. Today, she continues to remind those in recovery that a better future is always possible. Best known for his role as Chandler Bing on Friends, Matthew Perry has struggled with addiction to opioids, amphetamines, and alcohol. He attended several different rehab programs in the late 1990s and early 2000s in search of a lasting recovery. Since getting clean, Perry has channeled his influence into helping others who struggle with addiction. In 2011, he lobbied on Capitol Hill as a celebrity spokesperson for the National Association of Drug Court Professionals. In May 2013, he received a Champion of Recovery award from the White House Office of National Drug Control Policy for creating Perry House, a sober living home located in his former home in Malibu, California. As a popular child actress in a family of Hollywood legends, Drew Barrymore grew up with easy access to addictive substances. She was drinking at 11, using marijuana at 12, and snorting cocaine at 13. By 14, she entered rehab for the first time. Barrymore has been sober since her late teen years, crediting her recovery to the network of supportive friends she built for herself after becoming legally emancipated at 15. Since getting clean, she’s branched out beyond acting to become a producer, director, author, and cosmetics entrepreneur. Actor and comedian Russell Brand has been sober since 2002, crediting transcendental meditation and the Focus 12 drug treatment program with helping him to stay clean. In addition to serving as a sponsor for others in recovery, he’s helped bring awareness to the struggles of addiction with the two documentaries: End the Drugs War and Russell Brand: From Addiction to Recovery. Since getting clean, Brand has turned his attention towards political activism and building a family. He married Scottish lifestyle blogger Laura Gallacher in July 2016 and their daughter Mabel was born later that year. Prescription painkiller addiction continues to rise, affecting many people who would never consider touching illegal drugs. Actress Jamie Lee Curtis developed her addiction to painkillers after a cosmetic surgery when she was 35, eventually mixing the pills with alcohol. Curtis says her addiction developed as a way to self-medicate her depression, but she was inspired to seek treatment after seeing how her substance abuse was affecting her young daughter. She’s been clean for several years and continues to urge those who are struggling with mental health issues to seek therapy. Country music star Keith Urban has battled drug addiction since the early 1990s. Urban credits his wife, Nicole Kidman, with helping him to finally kick the habit. After witnessing his behavior spiraling out of control in 2006, Kidman staged an intervention. Since getting sober, Urban has released 14 number one hit songs and served as a celebrity judge on the hit reality singing competition American Idol. He also become a father of two daughters, born in 2008 and 2010.
assemblies or health class.Teens today are not afraid to try heroin as my generation was.